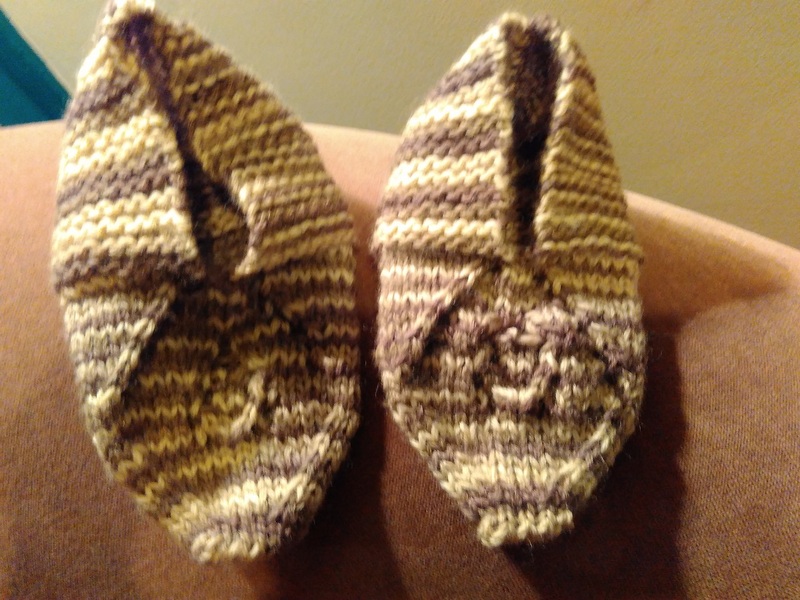 I have already made two pairs of these slippers before. Now with the move they have seen the light again, and my son loved them – I suppose he especially enjoyed how slippery these can be on a tile floor – so that he can pretend he’s skating at home. I have used SOS! Special Occasion Slippers pattern as before, by my first effort was in size suitable maybe for a toddler, but definitely too small for a 6-year old whose foot is already almost as large as mine. Here are my notes. I used some worsted yarn, which was a pleasure to work with, I cannot wait to think of something else to use it with. 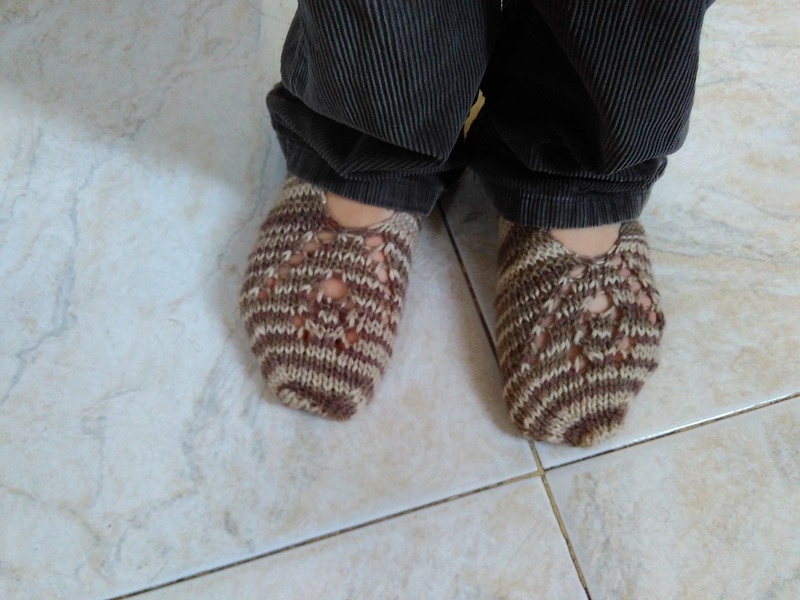 It was kindly gifted to me by a girl whom I didn’t know, but we’ve since been for a coffee or two and knitted together and had a lovely chat :) Power of yarn and facebook, helping strangers meet in a foreign country…. Continue decreasing as per original pattern and graft. Separator image Posted in My kniting & crochet and tagged with knitted slippers, knitting.